I am a writer. I’ve always been a writer and I always will be. Sometimes I have periods where I cannot write my stories fast enough. The words parade through my head like raindrops in a storm. There are times when I hear the characters talking but my hands pause long enough that the words melt away like snowflakes on a not quite cold enough sidewalk. And then are the days when the characters are quiet. These days are the reason for my day job. And what is my day job? Well, I’m a writer. I’m part of the correspondence department of a major world wide corporation. Granted, this is a different type of writing than the story telling I do after hours. But it is writing, just the same. I open a letter from a client and the first thing I have to do is read their request, or their concerns. I notice the appearance of the letter, the handwriting, the typing font, the spelling and grammar. What is their voice? Most of the letters I answer are from the elderly, their family, or attorneys. The next step is to analyze what they are saying. Do they need help, information, confirmation, or do they need to be comforted and soothed? Next, I try to find out why they need what they are asking for. Sometimes their reasons for contacting our company determines how we will answer them. Then I compose the company’s response. I’ve trained several people for this job and one of the first things I tell a rookie is that each case is a new story. You have to find out where we are, how we got here, and where we go next. This is why I love to write. I checked my calendar this morning and was again hit by the passage of time. The year of 2014 is speeding away. With September just a few days away, it’s time to review my goals and see how much or how little I have accomplished toward my writing career. I’m further along than I thought, but not a far as I had hoped. I have completed my short memoir First Love Forever Love. It will be mailed to my beta readers this week. The cover shot has been chosen and a marketing plan in progress. But first, I have to sell it. Therefore, I have a list of agents and publishers to contact. Now the real work begins. Work on the final edits of How Do You Like Me Now continue. I was told the book would not sell as a novella; so make it a novel. It’s much more difficult to add to a work than to subtract. I added too much, now I have to cut. I hope to have the novel ready for the beta readers early in 2015. There are unfinished items on my list. I do not have my website set up, nor have I created an author page on Face Book. My blogs have not been moved to OneNote. And I still need to get in my study and clean out boxes and files. But there are still four months left in the year. I, we, still have time to work on those goals. The purpose of goals is to help organize and focus on our writing careers. We may not accomplish everything, but steps taken get us to being published. With that in mind, stay focused and write. Step 1. Plot structure and character development. Does the character dialogue ring true with their profile, does the plot make sense, and is the underlying theme carried throughout the story? Add description, imagery, sensual details. Check for historical accurateness of dress, food, etc. Step 3. Read out loud. Revise at the word level. And there you have it. Three different passes through your finished manuscript, and this works for short stories or novels equally as well. I usually let it sit for days, even weeks in between each step. Sometimes not because I want to, but because of life demands. I’ve never been able to multi-task editing. That’s to say I cannot work on character dialogue and enhance five senses at the same time. You may be able to work differently. Side Note: I got this in part at a writer’s conference many, many years ago when I first started writing, and have altered it several times since to fit me. Apologies for not giving credit to the speaker who provided these tips. Cheers, and all the best on your writing journey! My list of mood creators used to be pretty big. In fact, at one time I could close my eyes and say, “Okay, characters. What happens next?” And I couldn’t write fast enough. My best ideas came to me as I was driving down the road, or sitting in the bathtub, or laying in bed at night trying to sleep. And usually I would get so excited over the voices and actions in my head I could remember word for word exactly what to put on that paper. These days, however, it takes a little more romancing to get those words to stick. I’ve got the ideas, but my characters have tape over their mouths. Instead of yelling and screaming for me to write, they just sit in the heap where I left them waiting for me to say, “Okay, how about this?” Then they just look up at me and frown as if to say, “You gotta be kidding.” And of course, this is just a sneer on their faces because their mouths are taped shut. I’ve got a favorite author who, in my opinion, is the pure definition of talent. When I read some of his work, I think about how easy he makes it look. I’m sure I could do that. I have the story. Why won’t my words stick together and sing so pretty like his do. I’ve got a support group. 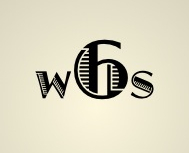 The Wordsmith Six group, the best critique group, friend group in the world. I’ve got time since the kids are grown. I’ve got computers, paper, pens, pencils, pictures, current events, life problems, life greatness, prompt books, everything I need to write these stories. But these days the words are more like rocks than bubbles. These days my characters are lazy lethargic mimes. I need a word gym to get these guys moving again. Congratulations. You have just received post card from the muse. It is possible to write two novels about the same incident, but from two different points of view. Bothe stories are valid. The hero in the first book is the villain in the second, and the villain becomes the hero. The disadvantages each man perceives regarding his plight are unknown to the other. It makes for interesting reading. Here’s an assignment. The hero and the heroine have a lover’s quarrel. Write the scene from the heroine’s view point. What started the argument? Who became defensive first? Who initiated the fight? Pay particular attention to her hurts and disappointments. What is she not saying? Now write the same scene from the hero’s point of view. What is different? What is similar? What is he hiding? Who stands between them? Is he defensive or placating? Can they resolve the issues? Read both stories aloud. Are the results thought provoking enough for you take the scenes and develop a short story or novel? Have you ever played Jenga? Players take turns removing one block at a time from a tower constructed of 54 blocks. The removed blocks are placed on top of the structure making a taller but less stable tower. The person who topples the tower loses. It’s really tricky and lots of fun. But there is a point. Keeping the tower upright is a matter of balance. A writer’s life definitely needs balance. We build a tower one brick at a time and often do not realize how unstable the structure really is. We pile jobs on top of family obligations, add social commitments, kid’s activities, friends, writing assignments, social media, deadlines, editing, new creative, submissions, marketing, and pretty soon the house of cards is endanger of collapse. Every layer is necessary, but how do we manage to maintain balance and sanity? I say we take a page from traditional housewives’ books. My mother managed get a husband and six kids out of bed each morning, fix breakfast, find lost socks, book bags, and homework, get Dad off to work and kids to school before having a cup of coffee. She made lunch, cleaned house, washed and ironed clothes, fixed dinner, cleaned the kitchen, helped with homework. She was the first one up in the morning and the last to go to bed at night. Everything worked. Her trick — planning and time management. Writers need a plan. A good calendar is a must for keeping track of obligations and deadlines. I prefer a Daytimer, but some of my friends are more comfortable with an electronic organizer. Be sure to note all commitments, and never promise to do something before consulting your “secretary”. Learn to say no. We get ourselves in trouble when we overbook or take on a project that does not help our work or capture our interest. We regret saying yes, but felt guilty saying no. If no is too difficult, try declining for now and ask for a rain check. Honor deadlines and promises. Even when it’s difficult to get the job done, failure to keep commitments makes the writer appear unreliable. Make time for you. A few minutes each day dedicated to yourself clears the head and allows you to be more focused and productive. Prioritize. If you can put it off until tomorrow, do it. Take care of today, today. Work hard, but balance work with play. Family and friends miss you when you over do it. Know when to stop. Creative efforts are not well served when you are exhausted. Balancing work with everyday life makes a writer more creative and a better all round person. It allows him to focus on the job without sacrificing life. Several years ago (ten? fifteen?) We watched a movie called The 13th Warrior. Made from a book by Michael Crichton, it’s the story of an Arabian man who was exiled for having an affair with the wife of an influential noble. He is sentenced to be an ambassador to Northern Barbarians and through a series of events, he is banded with a tribe of Norse Warriors. In the beginning of the story language is a curious barrier. He wants to understand the culture, but without understanding the language he cannot learn about their way of life. He tells of traveling with these strangers and paying close attention to the sounds they make until their language begins to make sense to him. Today we call that immersion learning. As he begins to learn their tongue, they are also learning about him. Finally all the fog is cleared and they can then understand each other. The main character is an educated man, while the Norsemen, one of them a king in waiting, are not. So once they are able to cross the language barrier, they all become friends and the young king in waiting asks a very interesting question. Of course, he is asking if the ambassador can write. The Norseman wants to learn to read and write. All these years later I still remember that question. Can you draw sounds. If you think about it deeply enough you realize that all a spoken language is is sounds that we have assigned ideas to. Each sound is part of a bigger sound we call a word. When we write words we are writing symbols assigned to those sounds. Learning a new language is simply reassigning those symbols to different sounds. As a student of court reporting and shorthand, I had to learn, in a sense, a different language. Well, it was the same sounds representing the same ideas, but the written symbols were different. And actually, the type of shorthand I learned was the same symbols, just in different orders. Then I make myself even dizzier by wondering who decided which symbol would represent which sound? This line of thinking can go on and on and on . . . This is one of the things I love about words. As I have mentioned often, I am a dinosaur when it comes to computers. When I find a system I like and works well for me, I keep it. Last week when my favorite laptop developed a problem, I panicked. Fearing the worst, I took my system to the computer store I use for a diagnosis of the problem. The tech gave me the good news first. My computer booted up properly, but the screen did not come on. He plugged in an external monitor and he could see the log on screen. So the screen was dead. The bad news, it was fixable but it would cost about $325.00. I had a choice; I could repair my system or buy a new unit. A new unit meant Windows 8 or an Apple system. An Apple computer maybe, but I refuse to buy another computer with Windows 8. I bought a new Netbook with Windows 8 and I hate it. The tiles are a waste of my time and the computer’s memory. I find it difficult to navigate, and it continually rejects my passwords. He reminded me I could buy a new system for a little more than the cost of the repairs. He smiled and told me he had systems with Windows 7. I looked at one of his systems and was impressed, but to get what I wanted would cost about 3times the cost of a new computer screen. I love my computer. So I chose to get a new screen. The point is I can still buy the operating system I like. I may have to look for it, but it’s out there. And your favorite computer tech just might be a good place to start. As much as I dislike my new Netbook, I must make friends with it. Imagine my surprise when I learned our local community college was offering four, four hour sessions introducing new owners to Windows 8. For $25.00 someone will walk me through the maze of Windows 8. I’m signing up. Community colleges are an excellent place to pick up new skills or fulfill a business educational need. Our college offers classes for the general public as well as special programs for children and seniors. The costs are reasonable and continuing education credits are available for many courses. I have taken a number of classes to up-grade my computer skills; work with published authors, or to just learn something different. I check out their course schedule before each fall and spring session. I recommend your community college for continuing education offerings.